Tickets for "Ten Symptoms" SOLD OUT!! I am excited to announce that tickets sold out for the March 1 event "Ten Symptoms of Haunted House!" I know it is going to be an awesome event and hope to have many more with Dark Shadows Ghost Tours! "Ten Symptoms of a Haunted House" Event Is This Saturday! I am excited about the event on Saturday, March 1 with Dark Shadows Ghost Tours. It will be my first chance to work with them. There is going to be a baked potato bar, soup, and drinks available, along with door prizes! One is a digital recorder, though I have not heard what kind. Another was donated by me! 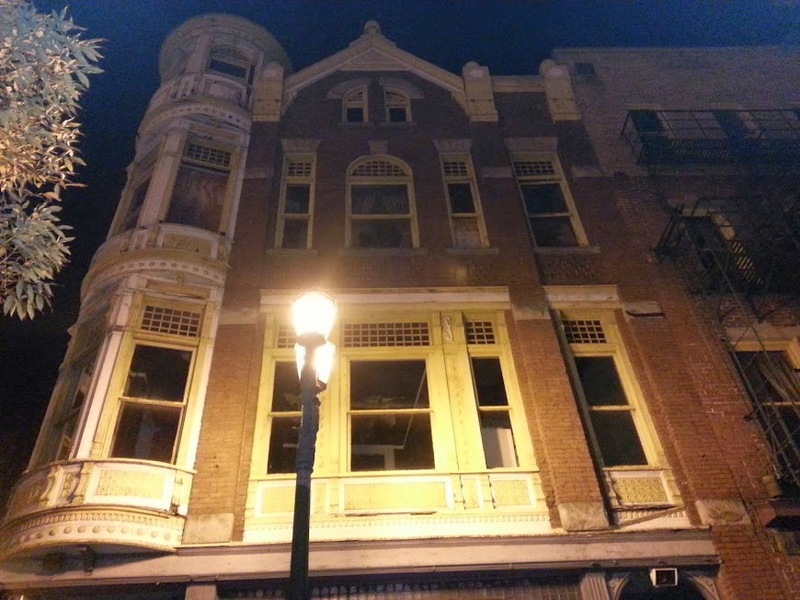 4 tickets to the Haunted Rogers House to have a paranormal adventure! I am sure there will be other things as well, knowing Dark Shadows! They put on a very good event! And don't forget you will have the opportunity to share your haunted house story and meet others who have the same or similar events happening in their homes. UPDATE: THE GENOSKWA FEST IS BACK ON BUT THE DATE HAS CHANGED. IT IS NOW BEING HELD ON JUNE 13-15! SEE THEIR WEB SITE FOR MORE DETAILS! !I received the sad news yesterday from Paul Hayes that the Bigfoot Conference, called Genoskwa Fest has been CANCELED. Just wanted to pass this information along. Sorry guys! We were looking forward to it, too!! I did hear they are talking about having a camping event at Gretchen's Lock that weekend. June 20-22. That is a two for one deal for us! Bigfoot and Ghosts!! We are still very interested in anything the Genoskwa Project is doing! They are awesome! If I get any updates, I will pass it along! 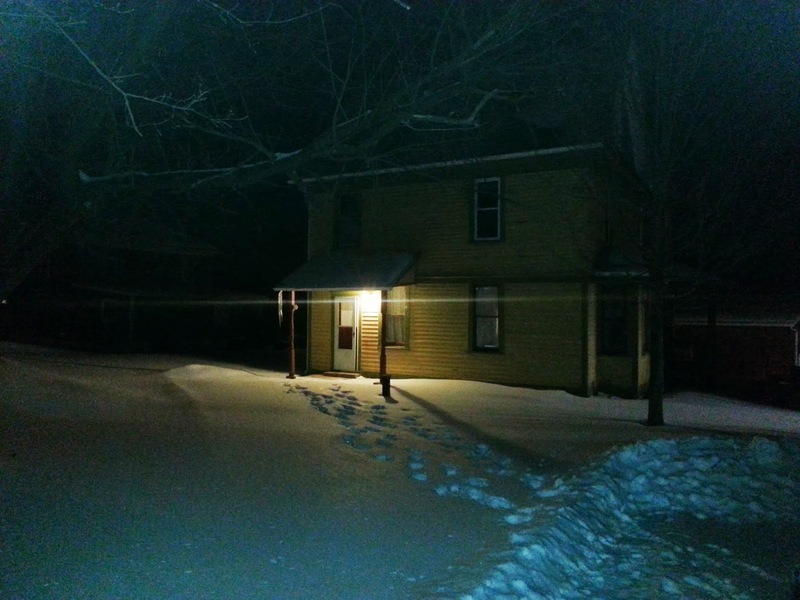 If you keep up with this blog or G12P, you may be aware of a few people who are saying that the Haunted Rogers House in not haunted. They are accusing me of all kinds of things, including being a con artist. Any one who knows me and has attended any of my events, which have mostly been free to the public, know that I am no such thing. I have spent the last 6 years working to be able to make ghost hunting something that I do for the rest of my life. I have been doing tours all over the county and have worked with the Salem Historical Society, Salem Public Library, Leetonia Public Library, Golden Triangle Tours, and several other institutions. I have done multiple fundraisers, the biggest of which is Salem Historical Society. It has been my dream to have my own haunted building that I could do what I wanted inside and create a tourist attraction for this county that involves the paranormal. The Haunted Rogers House is the fulfillment of that dream. Not only is the house haunted, contrary to what some have been saying, but it is going to be filled with as much Columbiana County History as I can find. 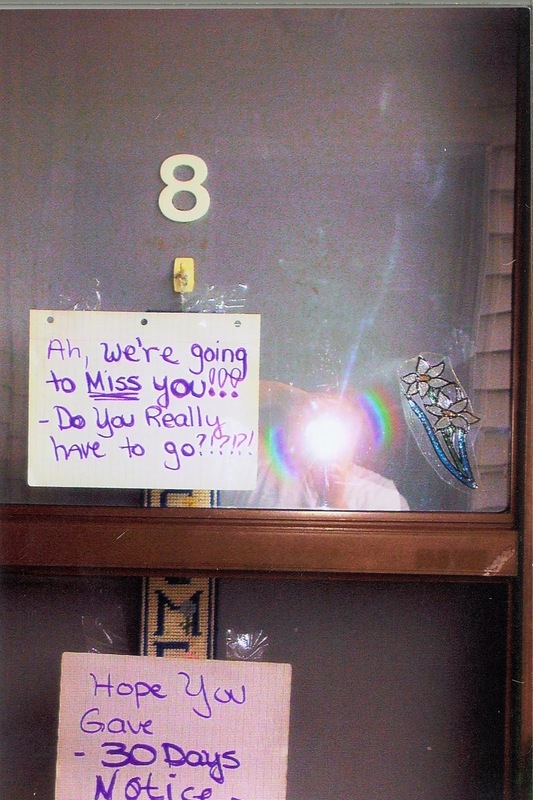 I am tired of hearing from these women, who no doubt have never done a single paranormal investigation in their lives, yet feel that because one of them MIGHT have lived in the house ( I think they have it confused with some other house since Kathleen didn't even recognize the inside of it) and didn't experience any ghostly events, that it can't be haunted. There are a lot things I would like to say at this point, but I refuse to sink to their level and start calling names and telling lies to hurt others. I will not do that. I will say that if you doubt my word, come and find out for yourself. The groups that I have had inside so far are finding this house very haunted and having a great time in the process. I have 11 years of ghost hunting experience behind me. What have they got in this field? Absolutely nothing. 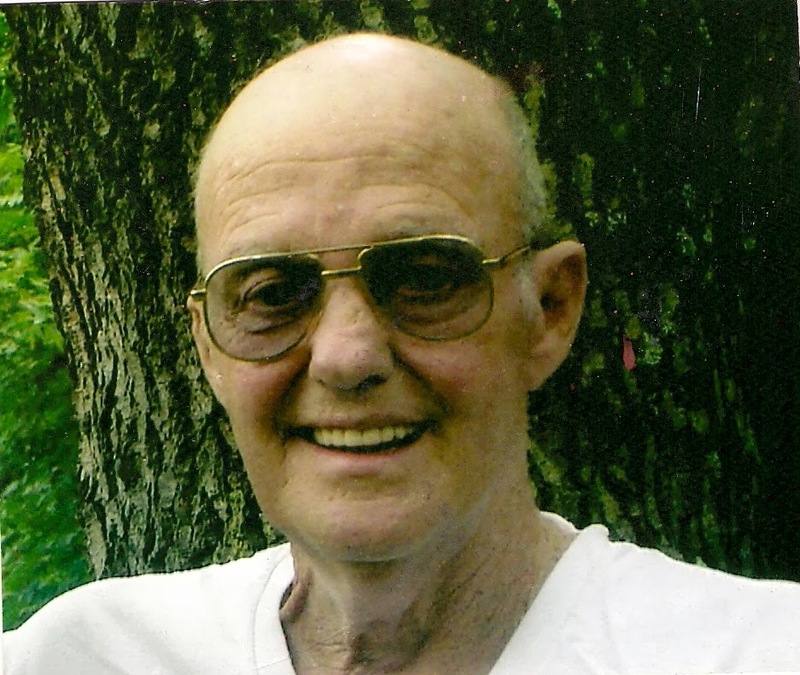 Rogers, Ohio has a long history here in Columbiana County. Since the Haunted Rogers House calls Rogers home, I have been researching Rogers history for the past several months. There are some strange tales to be told...at another time. Today I am talking about what today is called Rogers Food and Fuel. Most people know it and still call it Cowans. The picture to the left is what this little store looks like today. It is also haunted. It has had a series of owners over the decades. William Cowan may have started the business as far back as 1927, but after him there was Vince, Andi and somewhere in there, Margaret Deem. It is Margaret that many people believe haunts the building. Several employees have seen a short, red haired woman inside. Sometimes she is back by the beer cooler, and other times she is over by the Deli. Anyone who has had an encounter with her feels that she is watching over the store because she loved and cared about it and the town of Rogers. This photo was taken sometime in the mid 1970's. The gas pumps have been moved. 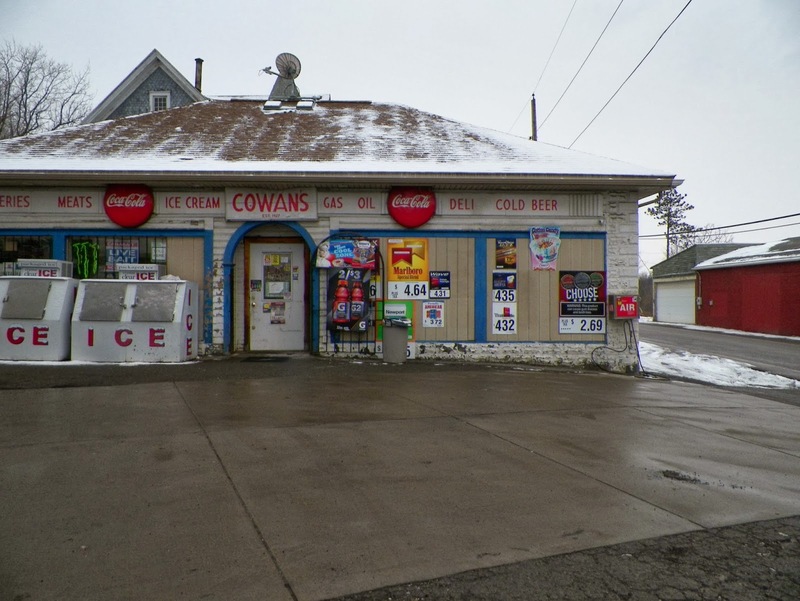 The sign over the door now just says Cowans. But the Coke signs are still there. You can see the Haunted Rogers House roof behind the store, and a huge tree that is no longer there. Another possible ghost inside the store is a shadow person that lurks around the front by the coffee machines. Things fall over in that area a lot. The cigarette paper dispenser opens by itself regularly. The employees also complain of loud thumps and taps coming from the back when they either open or close. 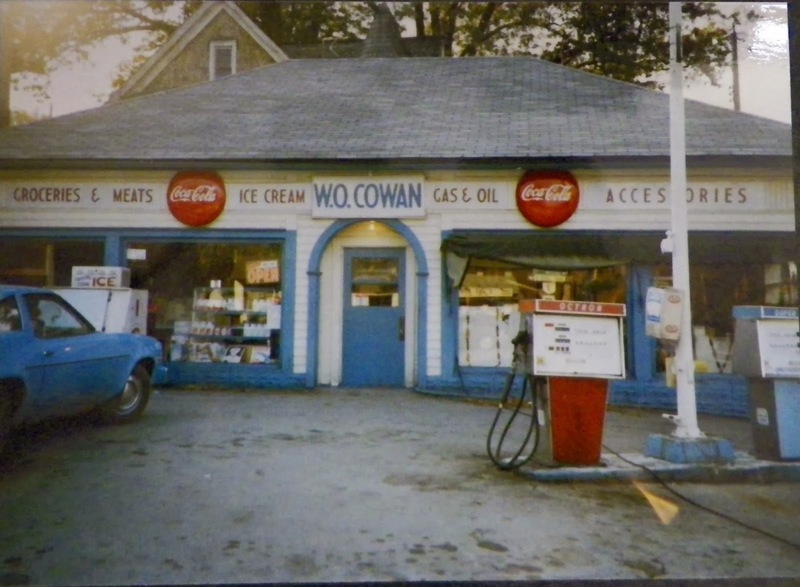 Cowans was and still is the center of town. People meet and greet there. Today it is the main stop for gas, beer, and cigarettes, but it has always been a place for friends to bump into each other and to pass local news along. It makes sense that there would be ghosts, waiting to see a friend or loved one from time to time and remembering what once was. We went to Rogers Food and Fuel to get some coffee. This little store has some ghosts of it's own. Several people, including myself, have seen a short woman with red hair standing inside. My experience happened over by the deli. 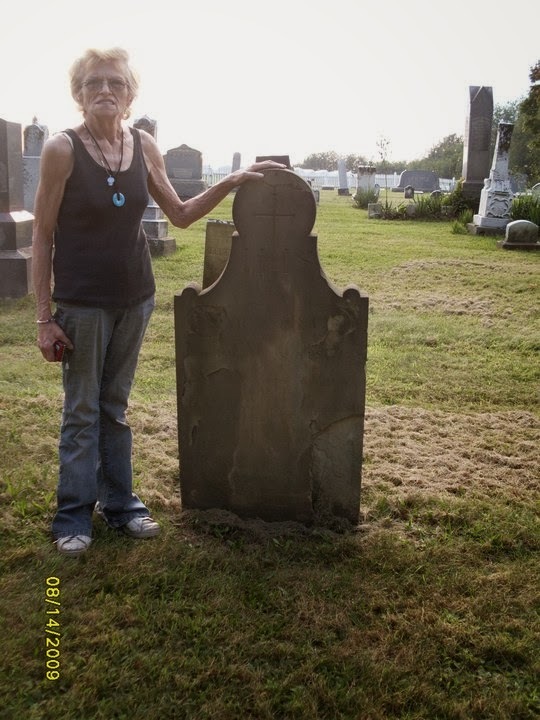 Some believe it may be the ghost of a former owner, Margaret Deem. She is fondly remembered by the locals and many think she continues to watch over her store. The picture quality of this phone is pretty good. I like this picture because you can see my breath hanging above. It looks promising so far, at least for the camera part of the Galaxy 3 as a ghost hunting tool. I did some hunting with Jon, Tanna, Amanda, and Courtney last night and we had a good time. There were a couple bumps in the night while we we poked around, but for the most part it was quiet. The house continues to be open every weekend. This Saturday, Feb 22, the house is booked, but Friday it is open to the public. Anyone interested, email me or call 234-736-8721! 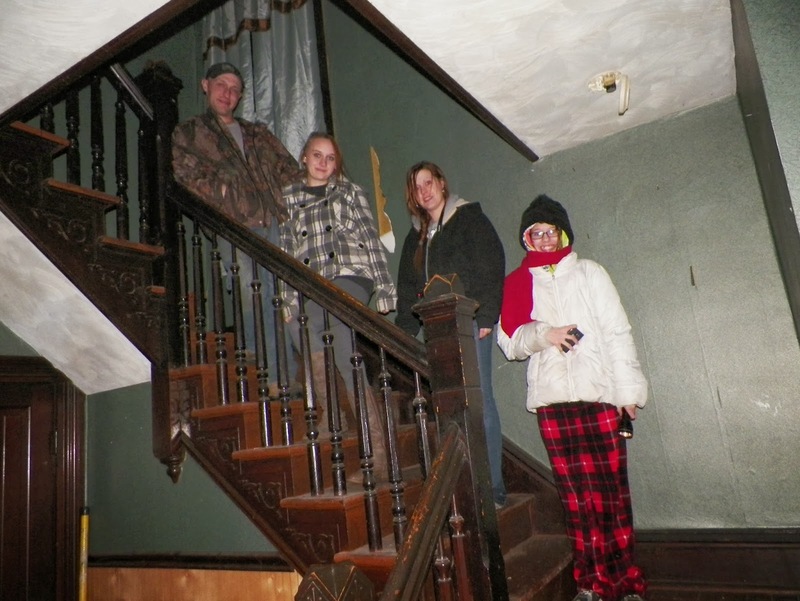 Ghost Hunting Basic classes will begin in May of 2014 and will be held at the Haunted Rogers House. This is a three evening class and covers what you need, where to go, EVP, and Pictures. Class 1 tells you what you should do for an investigation, what equipment to start with, what clothes to wear, and where you can go. This first class includes a tour of the house. Class 2 gets more in depth about EVP, how to listen to it, and what to do for an EVP session. 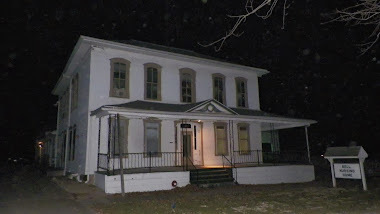 After class, we will do EVP sessions in certain rooms of the house. Class 3 studies pictures and what to look for in them. 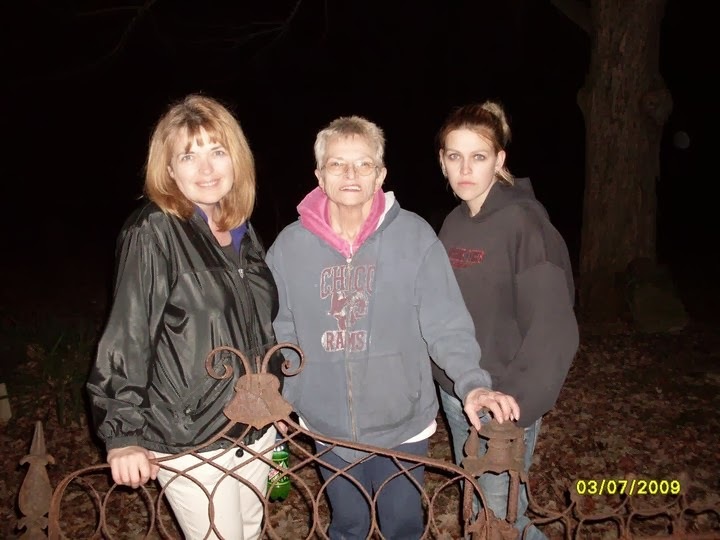 Orbs will be discussed, along with common mistakes as to what might be paranormal in a photograph. At the end of this class, a full blown investigation of the house will be conducted by the class. Each class is a minimum of two hours, but may be longer. The Cost is $25 per class per person. If you choose to do all three, it will be $50 per person. A tee-shirt is included in the cost if you choose to do all three classes. Please email me if you are interested in the classes and what time frame would be good for you. Weekdays or Weekends. Classes held on weekends will be done during the day. Classes during the week will be done at night and will be begin at 7pm. Tentative dates for the first classes are May 13, 14 and 15 for the night classes. Weekend classes have yet to be scheduled. All classes will be taught by Kimberly Frazier Mitchell of Ghost 12 Paranormal. 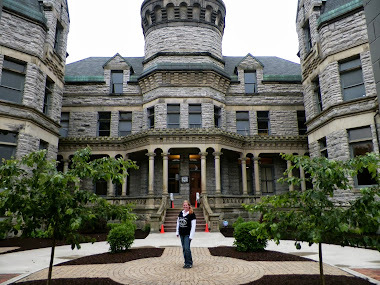 DARK SHADOWS GHOST TOURS. They are doing several tours all around Ohio, including Columbiana County! They do Treasure Hunts, Murder Mystery Dinners, and overnight adventures! Look for them to be visiting The Haunted Rogers House to do some investigating! 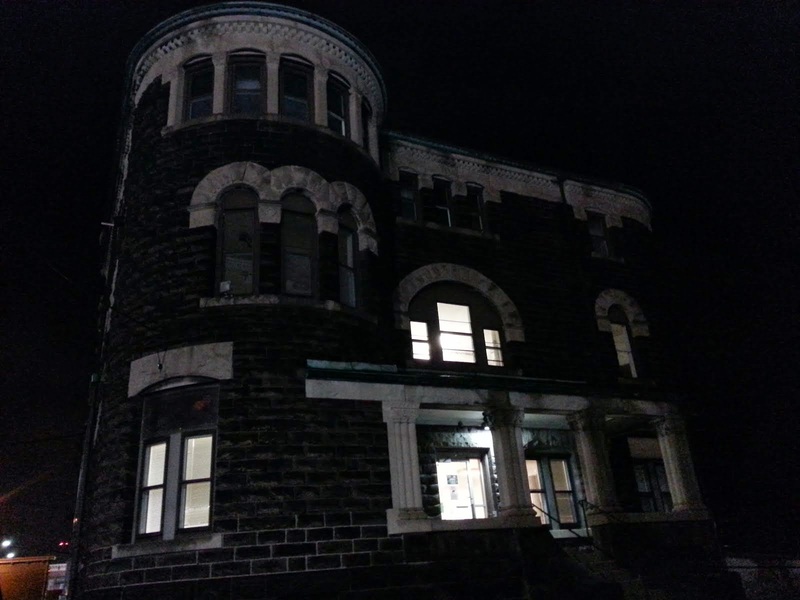 The Haunted Bridges Tour on May 31 is through them and so is the March 1 event called "10 Symptoms of a Haunted House"
If you want some Paranormal Adventure, Dark Shadows Ghost Tours are the people to see! I have added two free events to our EVENT page. On March 30 we will be doing a tour of the Grimms Bridge area. 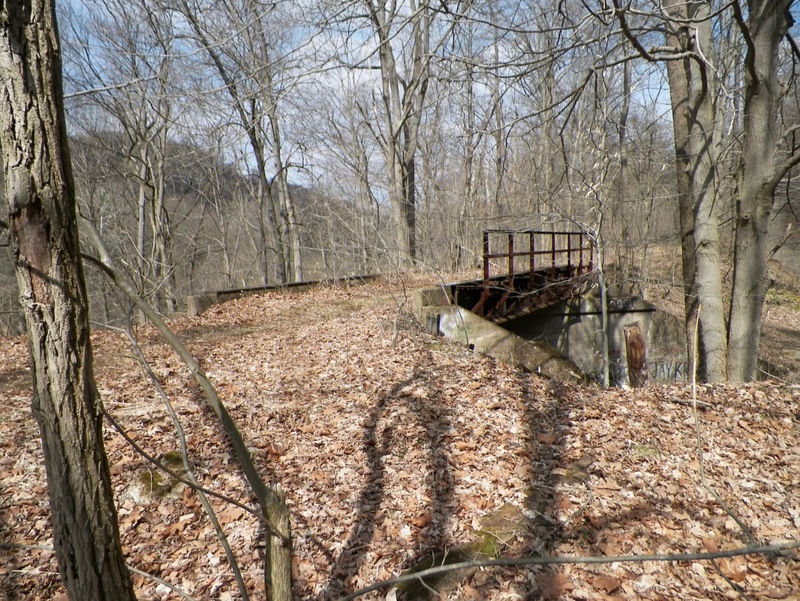 We take you along Locks 50 and 51, an old Grist Mill site, and walk along the old P.L. & W. Railroad tracks. Dress for some rugged hiking in some places and bring a camera. It is beautiful down there! This year we will be having everyone attending sign liability waivers. 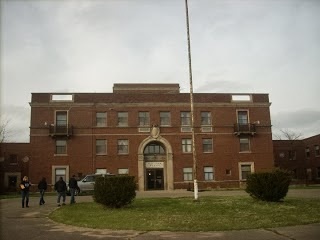 This is one of the most haunted places in Columbiana County, for reasons we do not know. On April 27 we will be walking back to Locks 37 - 40. According to some history books, Lock 39 is the actual Jakes Lock. There are foundations of homes and businesses we will visit along the way. You will be required to sign liability waivers for this event also. The area is beautiful, bring a camera! THIS IS A DIFFICULT WALK. SOME HAVE CALLED IT DELIVERANCE. WEAR GOOD SHOES AND BRING SOMETHING TO DRINK. 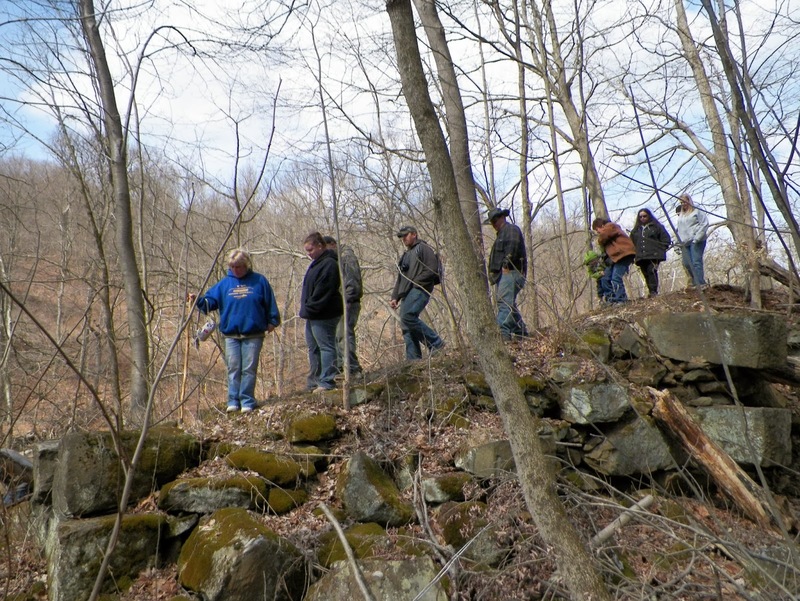 IF YOU LIKE HIKING AND HISTORY, THIS WALK IS FOR YOU! LOCK 39--THE REAL JAKE'S LOCK? Once again, Blogger is having some hiccup. It happens at this time every year and it annoys the hell out of me. Currently I am unable to upload any photos onto this website. I am nowhere near the 20 GB of memory I pay for every year so I know that is not it. This is the fourth year in a row now that there has been some glitch that interferes with this blog. GRRR. Hopefully it is fixed soon. Last year it took over a month. Trying to talk to anyone about it is worse than getting a real person to talk to with AT&T. Sorry for the delay and I am working to get the problem fixed ASAP.